Can I get Pregnant with Essure? 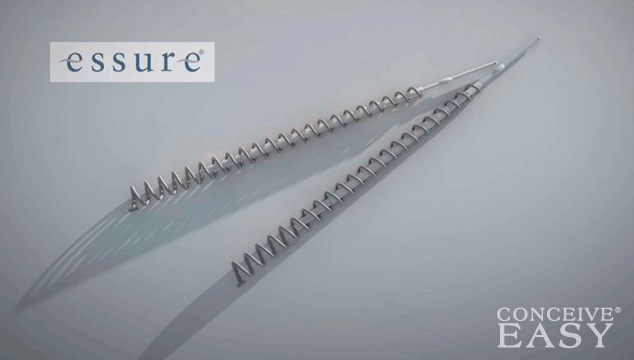 Essure is a pair of inserts that are placed in a woman who is trying to prevent pregnancy. It is something that cannot be used immediately after the woman has had a baby or if she has recently had a pelvic infection. It is also something that is not to be used when the woman only has one fallopian tube. It is always best to be certain that you are prepared to not become pregnant before having these inserts placed. However, it is possible to have the procedure reversed and the inserts removed if you do change your mind. The danger in this is that it is possible that your reproductive system may become damaged because of the inserts. This could mean that it won’t be possible for you to become pregnant even if you have them removed. If this is the case, you may need to rely on fertility treatments, like in-vitro fertilization, instead.